Beans produce a variety of seeds, each concealed inside a pod. As the pod matures on the plants, it dries and splits open in the sun. The seeds will eventually fall out of the hard, dry, pod to the earth - or gardeners can remove them for storage or planting later. Bean seeds are actually comprised of two halves called cotyledons. Each cotyledon contains a food source for the emerging plant. New bean plants can actually live off of the stored food in the cotyledon for several days, if necessary, until they can reach nutrients in the soil. Beans are among the consumed staple foods in Nigeria alongside rice and cassava. Furthermore, they are among the most economical sources of protein. Interestingly, regardless of the enormous ingestion of legumes from the nation, a signification percentage of those legumes consumed are imported from Niger Republic. Beans are often categorized by two sets of criteria: type of growth and stage at which they're usually picked and eaten. The plants can grow either as bush or pole type beans, and are also categorized as snap, shell and dry (Drying), depending on degree of development at time of harvest. All beans are easy to grow, and all need the same growing conditions - the prime one being plenty of warmth. Start by planting the seeds on the farm. Germination Stage; which refers to the seed as it begins to sprout. 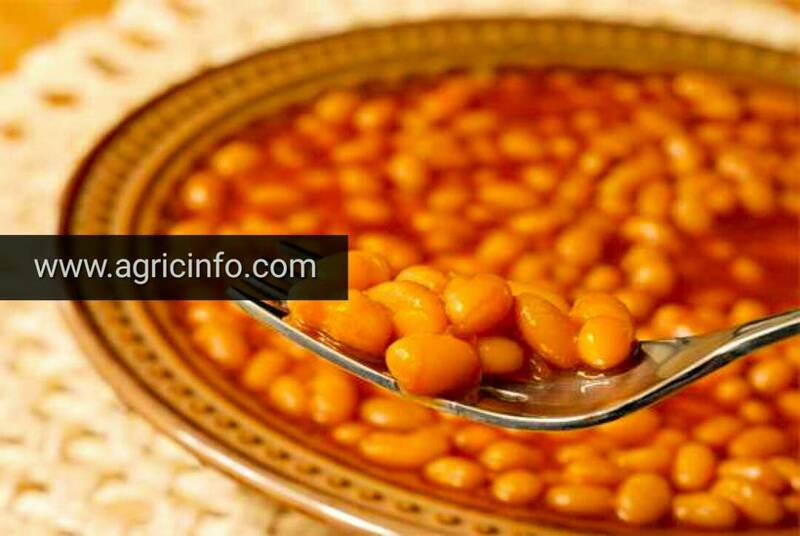 Bean seeds germinate, or sprout, when water dissolves or cracks open the hard casing around the seed or embryo. Warmth speeds the process along. The bean will send out a tiny (embryonic) root called a radicle. After the casing splits, the first thing to emerge from the bean seeds are the roots. Slowly, roots unfurl from the seed, reaching out for moisture and nutrients. Roots look like white threads as they grow out from the bean seed. Like all vegetables, beans need nutrient-rich soil. When starting a vegetable garden, it is essential to amend the soil and continually replenish its nutrients. Planting bean seeds in good garden soil amended with compost helps the roots find available nutrients immediately. As the roots descend, they pull water and nutrients from the soil into the seed itself. Slowly, the seed receives what it needs to enter the next stage of its life cycle: leaf growth. After the seed germinates and the roots grow, the bean plant begins to push out a single stem. As the stem emerges from the soil, two little leaves emerge. The first leaves to emerge from a bean plant do not look like the typical bean plant leaves. They're rounded, and help the plant grow quickly into a strong, mature plant. The end of the bean plant's life cycle is flowering. Flowers are the reproductive portion of the plant, and plants begin reproducing as soon as they are able to do so. The time is takes a bean plant to flower varies according to the types of bean, but generally within six to eight weeks of germination you'll begin to see flowers on the bean plant. As the flowers are pollinated or fertilized, seed pods develop. Bean seeds flower and set mature seed pods at the same time. is common in the legume family of plants. Seed pods mature and are picked for food by people or left on the plant to mature and dry in the sun. Dry bean pods yield beans for storage or recipes, or the pods naturally split over time. You can see starting Beans Farming Business in Nigeria is not that difficult. Please like and share.